An auxiliary nurse, identified only as Oyekanmi, has been arrested by the police for her role in the death of a baby she took delivery of in the Odogunyan, Ikorodu area of Lagos State. It was learnt that the victim’s mother, Adeola, had been taken to Oyekanmi’s residence last Saturday when she went into labour. Oyekanmi, while attempting to force the delivery, was said to have pulled off the baby’s hand. 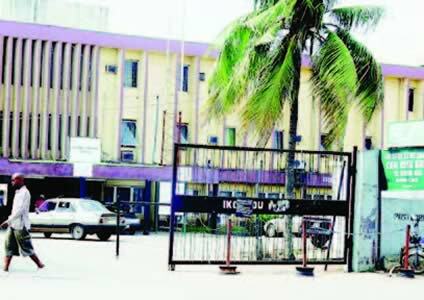 She was said to have advised that the child be taken to the Ikorodu General Hospital, where the dead child was finally delivered. Doctors at the hospital were reported to have queried the baby’s parents on what truly transpired, and they opened up. The hospital management then alerted the police to the incident. A source said Oyekanmi was picked up by the police. The source said, “What happened was that the auxiliary nurse tried to deliver the woman of the baby, during which there was a complication. But she continued and in the end, the hand of the baby was pulled off while she tried to force the child out from the mother’s womb. The Police Public Relations Officer, SP Dolapo Badmos, confirmed the incident, adding that investigations were ongoing. The spokesperson for the state’s Ministry of Health, Adeola Salako, promised to get back to our correspondent, but she had yet to do so as of press time.